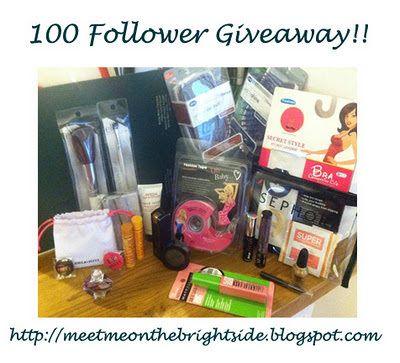 Meet Me on the Bright Side: Last Chance to Enter My Brightside Beauty Giveaway!! Last Chance to Enter My Brightside Beauty Giveaway!! As I write, there are 13 hours and 48 minutes left to enter my giveaway! Last chance for anyone interested. It's a great 22 item prize pack filled with top brand deluxe size samples, full sized products, hair tools, and fashion products. Who doesn't love free stuff?